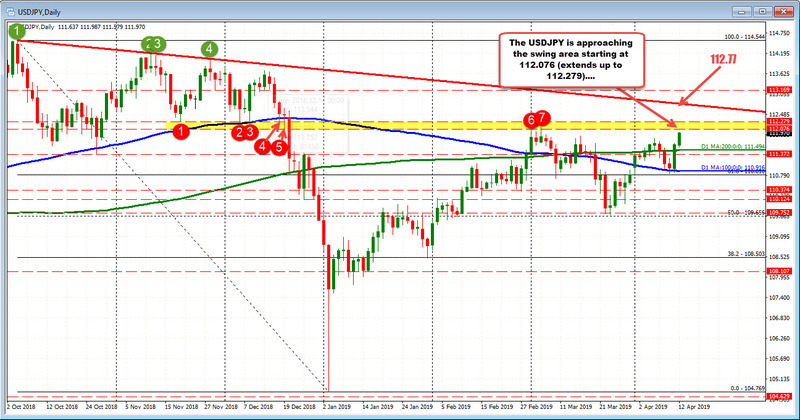 The USDJPY cracked above the April 5 high at 111.818 and stayed above today. It wasn't without first testing it in the Asian session first. That increases that levels importance. Stay above and the bulls remain in control. PS the low today based at another key swing level at 111.572. Close risk has to be the 111.79-111.81 level (from the hourly - give a few pips). Stay above, keeps the buyers in control. Move below and the break to new highs, loses some of its followers.